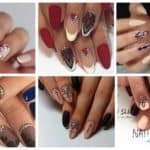 Did you know that your manicure speaks volumes about you and your personality? 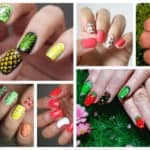 Nails could be one of the first things people notice when they see you and they give the very first impression even before you get to say a word. That’s why you should always save time to do your nails and get them polished. 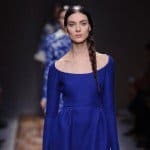 As seasons change new trends come in, so now fall trends are about to attract all of your attention. 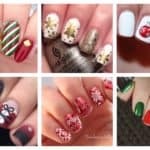 Scroll down to see the Fall Manicure Ideas That You Should Try Now and let them boost your inspiration for your next nail design. 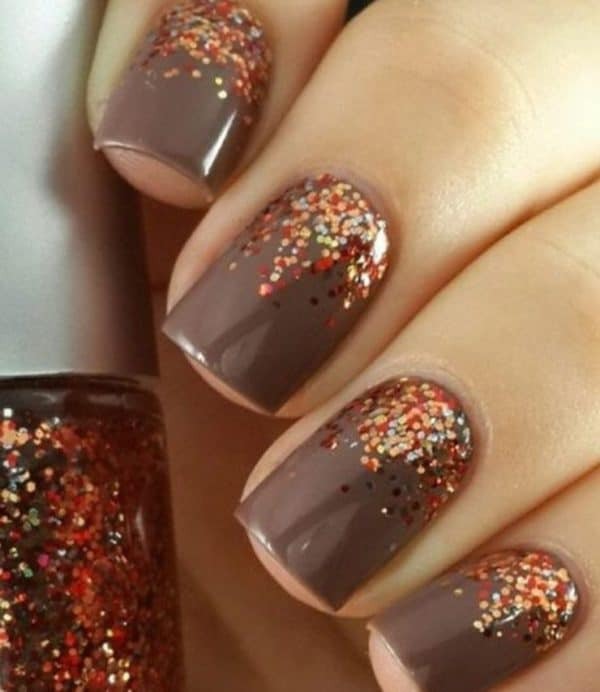 Your manicure should be all about the dark colors of fall filled with lots of yellow, orange and brown tones. 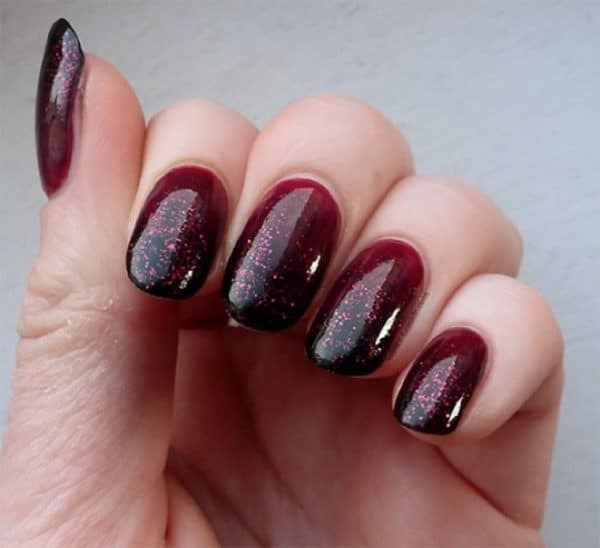 The glitter should also be in your consideration if you wish to play up the simple look. 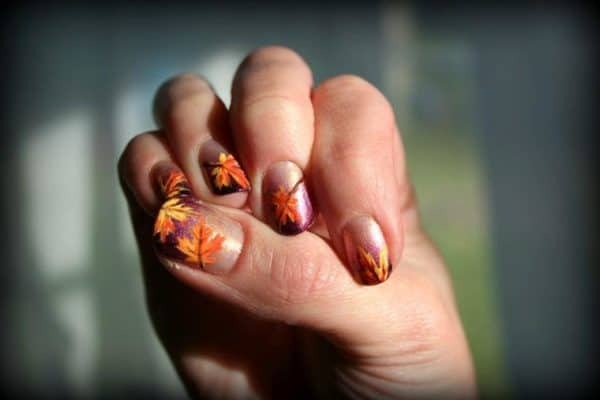 What do you say about showing off your artistic skills and get down to drawing some fall leaves on your nails? 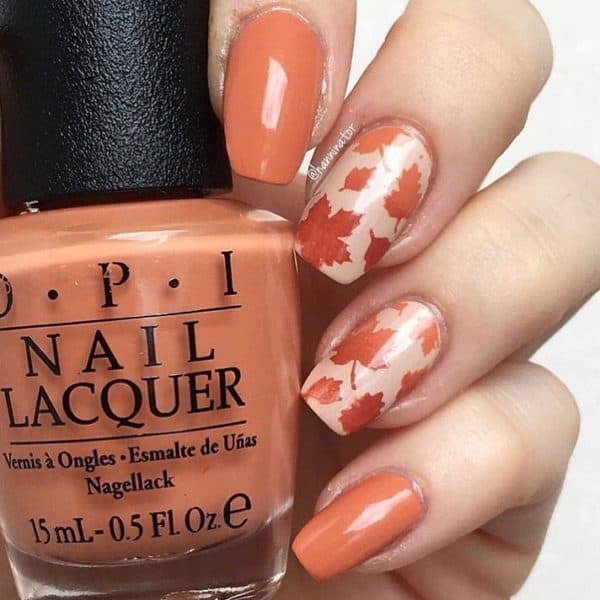 This is the most of the fall manicure that you could get! 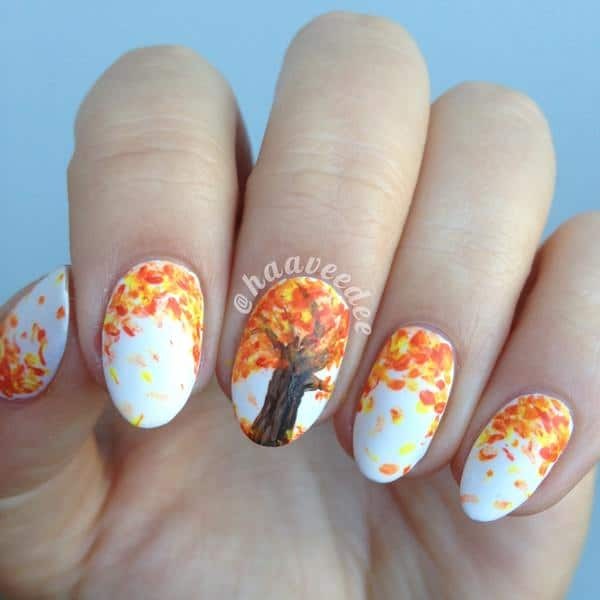 They allow you to be super creative and recreate as many leaves shapes as you can! This is an eye-catching design that everyone will notice at first! 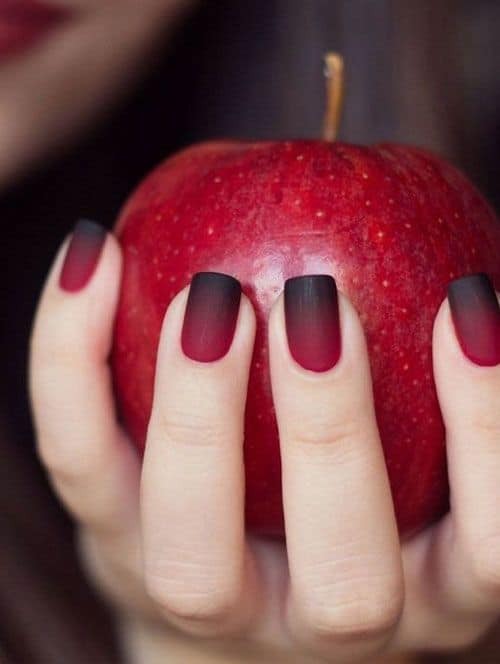 In case you are a fan of ombre nails, the fall trends require darker shades. A great example is this black and red design. It screams glamour, we have to admit! What do you say about the color block design but in fall tones? I say it’s more than stunning! 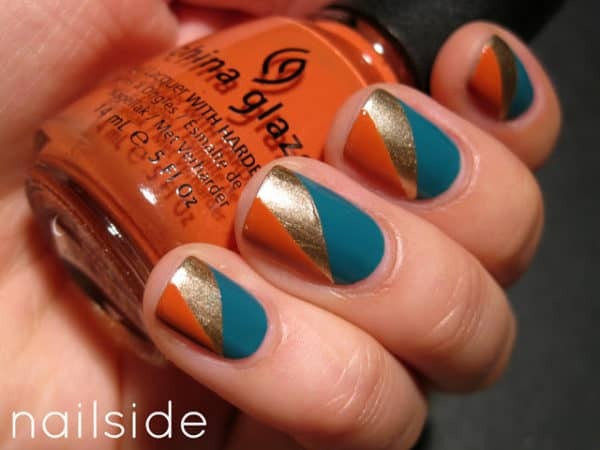 Break the monotony of one-colored manicure, and implement two colors in your next nail design! 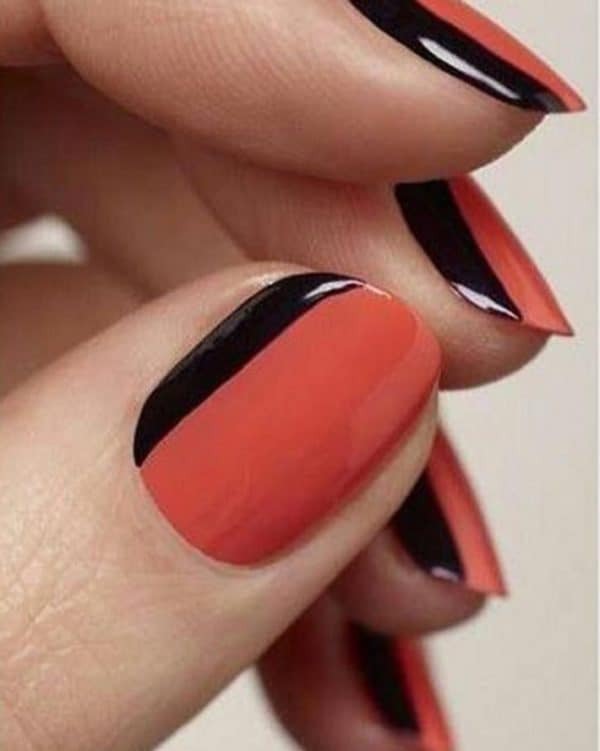 Be bold, and color each nail in different tone. 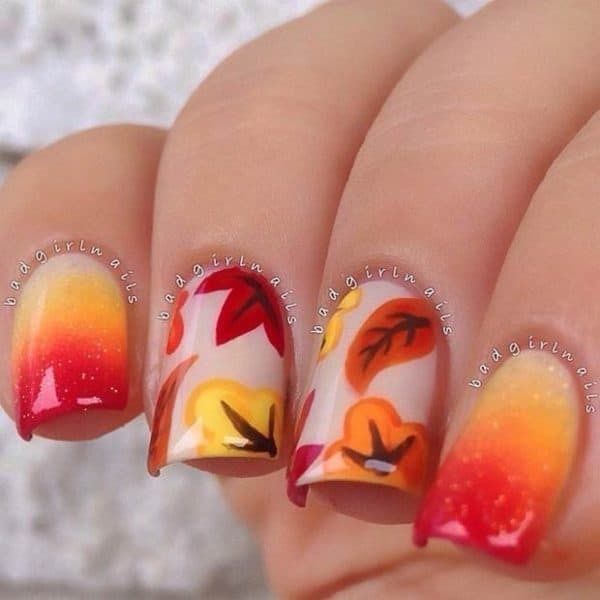 Remember to stick to the fall color theme! 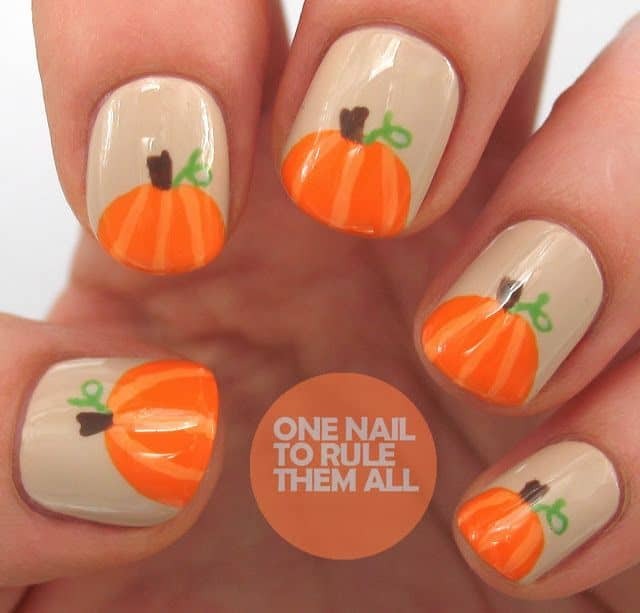 Pumpkins reflect fall perfectly well, so you may find them appropriate to draw them on your nails. I have to mention that this is a more informal look that it’s not suitable for formal occasions. 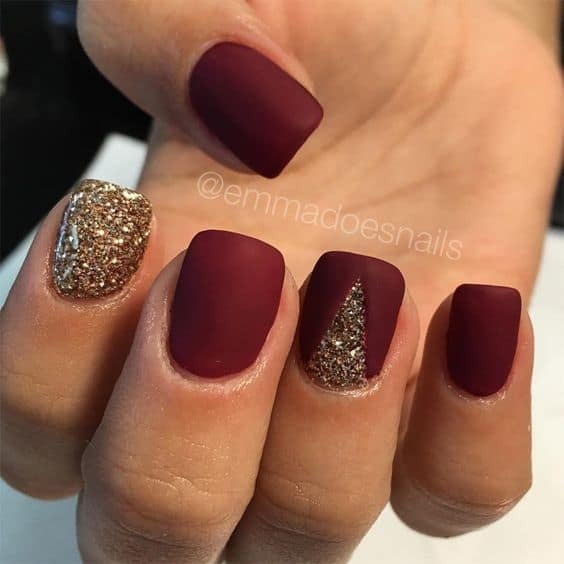 The burgundy color is one of my favorite colors for fall, and it’s the one that you can see most often on my nails. Do you like it as well? 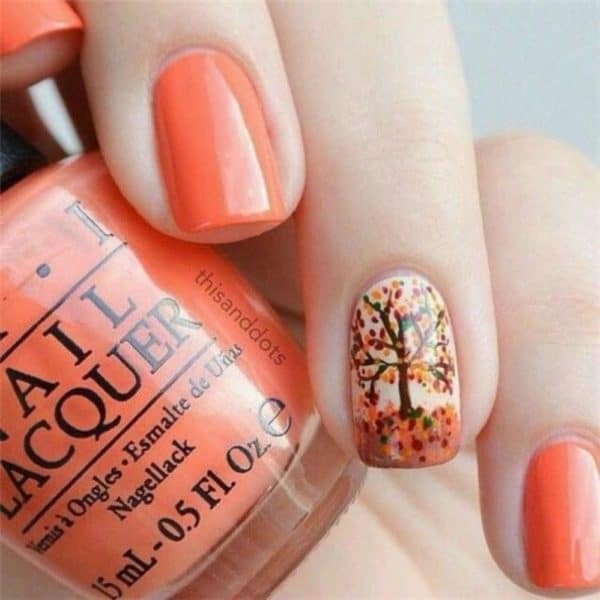 Add a pattern to one of your nails, and give your fall manicure a more playful look. Use tape to make the shapes that you want to get for a quick design that doesn’t require much effort! 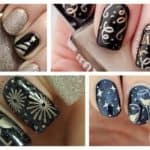 Aren’t these fall nail designs just adorable? Pick the one that you liked the best and try it out as soon as possible!